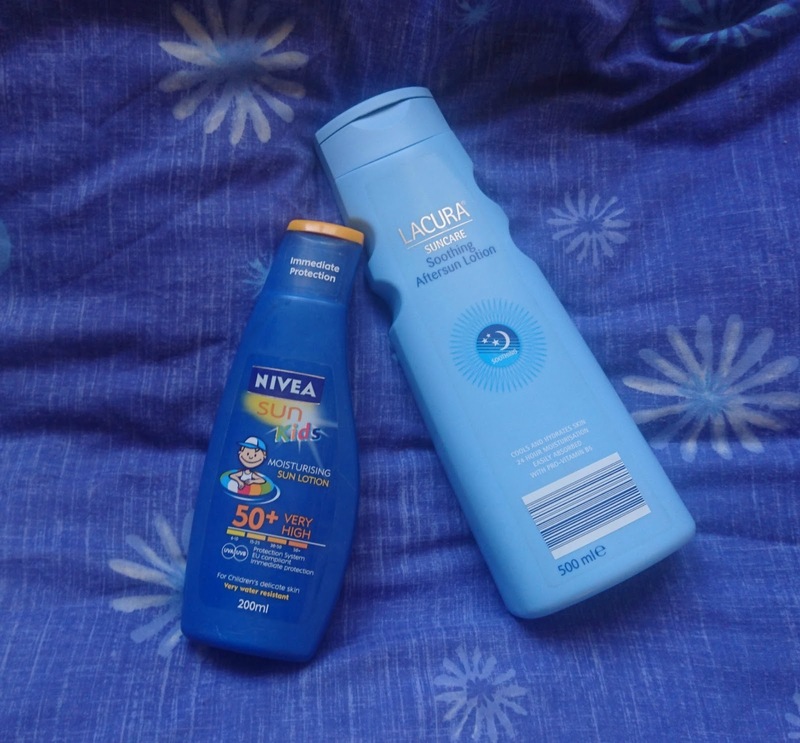 Two of the biggest essentials are Sun Cream and Aftersun. I can't stress how much I've needed this every time I've been to Download! You know the British weather, the first few days will be scorching hot and then on the most important days it will flood with rain! I learnt my lesson after the first year and made sure to apply sun cream when out and about! There is nothing worse than having people slam into you while your arms feel like they are burning off! But if the day slips past too quickly and you forget to reapply the sun screen, then after sun is a life saver! It will make sure that your skin is soothed and that you are comfortable for the rest of the time you are there! A waterproof coat or a disposable poncho is also another must have. Ponchos are the easiest option because if they get dirty you are able to just bin them and don't have to bring them back with you. Again, living in England these are essential for a good time because once you get wet, it's a nightmare to dry off! Make sure you take them with you into the arena even if it is sunny because I fell for the sun's tricks one year and got absolutely soaked! By the evening it was freezing cold and we were really not having a good time. The disposable ponchos are also a great for sitting on when it has been raining and you need a rest! 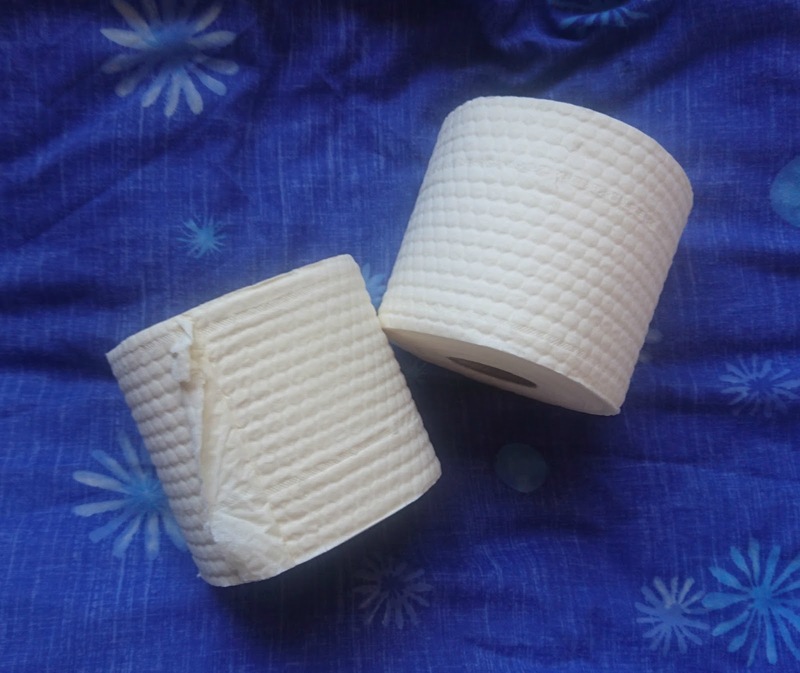 This may seem like an obvious one but toilet roll is often forgotten and heavily regretted when it is! There is nothing worse than having to go to festival toilets and having to use scraps of toilet paper or using a toilet roll that has been trodden on my loads of different boots! It's great for cleaning up small bits of mud and rain that have gotten in the tent too! Another cleanliness product that is a good idea when at a festival is dry shampoo! 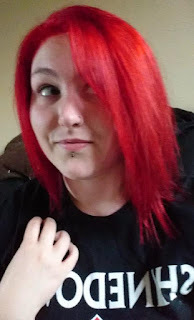 If it is raining your hair can get dirty and greasy. If it is dry, dust can get in your hair and make it dirty and greasy. If you are in the crowd beer and other liquids can get thrown around... making your hair dirty on greasy! Although it is not essential, keeping your hair a little bit cleaner can make you experience more enjoyable and help you feel fresh! Deodorant wipes or baby wipes also make everything more pleasant when at a festival. While you are there you can get pretty dirty and stinky because of the lack of (clean) showers! 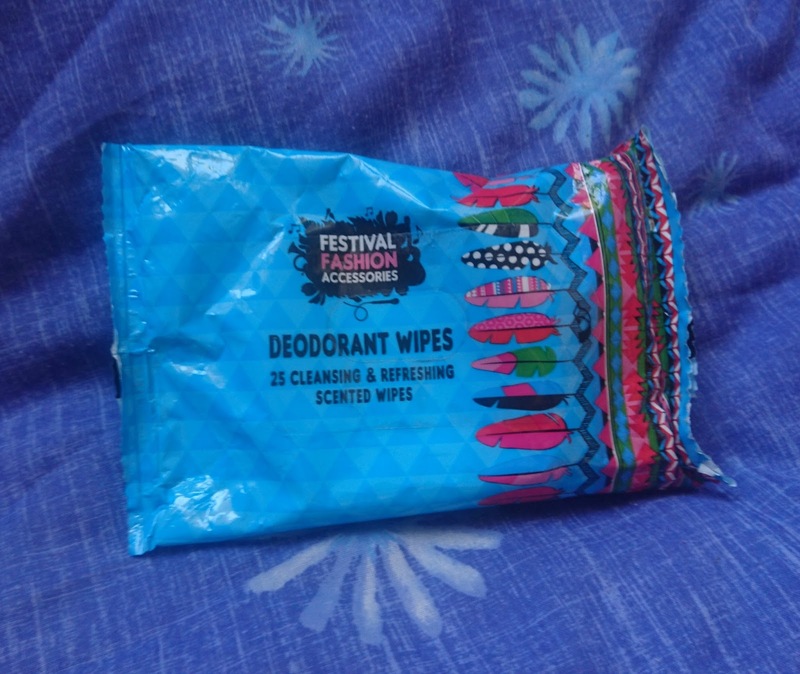 I found some deodorant wipes in a poundland and these seriously helped the cleanliness issue over the course of the festival! Baby wipes are also a great multi-purpose cleaning product, they can be used to clean yourself and any dirty shoes or things around the tent. This last product is pretty much a given, but after watching an episode of Embarrassing Bodies it seems it's not thought of that much! Water is essential to keep yourself well and is definitely needed when going to a festival. it may seem like a pain to carry around when you are trying to enjoy yourself, but you will thank yourself by the evening when you have been out all day and had something to quench your thirst! When the weather gets warm and you are moving around as much as you do at a festival, water is a must! Now, through this post, I've made festivals seem like a horrible grueling experience and they're really not! They are an amazing place to meet new friends and do things that would, in the normal everyday world, be classed as weird or inappropriate! These items just make it easier to cope with if the worst downpours happen (which, if you are going to Download, is most likely!). I've not got any festivals planned this year but hopefully I can go to one next year! Have you been to any festivals? Are you going to any this year? Let me know!